Scorpyd crossbows was started in a modest 3 car garage with this goal in mind: To offer the highest quality USA made crossbows at the best price. 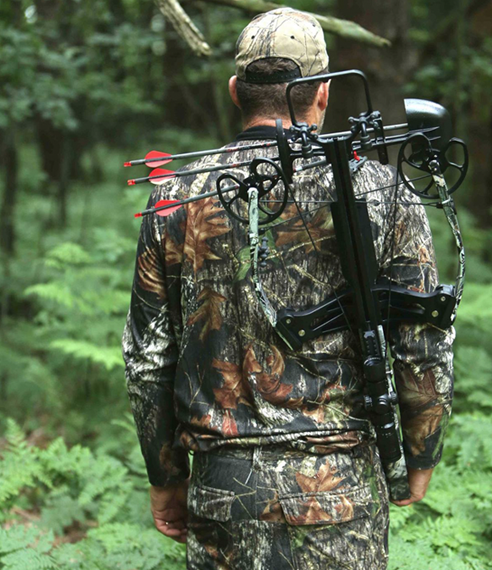 To offer the best prices on our products, without sacrificing their superior quality, we provide our Scorpyd Crossbows authorized retailers the opportunity to maximize value and customer service by eliminating big-box store competition. This gives every retailer in our network the best product pricing instead of pricing models which require pro shops to subsidize their competition. We carry these values from our humble beginnings with strong relationships with our retailers. With no minimums and superior customer service we give every pro shop large and small the opportunity to thrive. Qualifications: To be an authorized Scorpyd Crossbow dealer, you must have a resale tax Certificate, current and available on demand; a current business license, available on demand; must have a visible signage on operations building or consistent with local ordinances; must have posted regular hours of operations; must be conducting business legally according to local zoning laws. Scorpyd Crossbows dealer application must be on file with our credit department. Territory: Scorpyd Crossbows reserves the right to appoint dealers in locations of their choice with no mileage requirements. Prices: All prices are subject to change without notice. The purchaser will be responsible for any price increases regardless of any statements made to the contrary. Terms: Payment terms as outlined in dealer application. Mail Order: Dealer agrees not to sell Scorpyd Crossbows products via mail order. Violation of this agreement may result in termination of this agreement. Warranty: Warranty becomes activated once Scorpyd Crossbows warranty registration card has been signed by both the Customer and the Dealer verifying that the Customer has viewed the owner safety information. Warranty is valid for original customer and is non-transferable. In the event the crossbow has been altered or unauthorized work performed, warranty becomes null and void. Warranty Work: It is at the discretion of Scorpyd Crossbows whether or not damaged parts will be shipped to us prior to authorization of warranty work. In the event bows or parts need to be returned to us, we will require a Return Authorization (RA) number. You will need to call Scorpyd Crossbows to obtain this number. If a package does not have a RA number, it will be refused by our company. Damage to bows and parts that are not due to the manufacture or design of our products will NOT be covered by our warranty. Shipping costs ofthe bows returned to Scorpyd Crossbows for repair is the responsibility of the retailer and/or customer. Bows that are in need of repair will be repaired, NOT replaced. Null & Void: The agreement between Scorpyd Crossbows and the authorized Scorpyd Crossbows qualified dealer becomes null and void in the event there is any change of location, ownership or management of the dealership and may not be assigned or passed on to any other archery shop or management without the expressed written consent or Scorpyd Crossbows. Termination: This agreement can be terminated at any time for any reason by the dealer and/or manufacturer. Duration of Agreement: This agreement shall remain in effect from year to year on an ongoing basis from the time Scorpyd Crossbows accepts said agreement unless otherwise terminated as herein provided. I hereby acknowledge that I have read the foregoing dealer agreement and understand the guidelines and requirements as detailed.